Where Are The Fully-Intelligent Creationists? Millions of people are taught that the fossil record furnishes proof of evolution. But, where are there fossils of half-evolved chipmunks, dinosaurs and other creatures? The fossil record contains fossils of only complete and fully-formed species. There are no fossils of partially-evolved species to indicate that a gradual process of evolution ever occurred. But no one -- especially when allegedly college-educated -- should have to be told this ... if they hadn't already been industriously erasing their own ability to think. Mark and Chris Hoofnagle have moved their Denialism.com over to Scienceblogs, now calling it Denialism blog, and it will doubtless be a very worthy addition to that site. I had come upon their old location only recently while looking up reactions to Dr. Michael Egnor. I hope it prospers in its new home. We don't argue with cranks. Part of understanding denialism is knowing that it's futile to argue with them, and giving them yet another forum is unnecessary. They also have the advantage of just being able to make things up and it takes forever to knock down each argument as they're only limited by their imagination while we're limited by things like logic and data. Boy! I couldda saved a lot of time in talk.origins if I had taken that approach. Oh, wait a minute! That is the fun part of talk.origins! In fact, talk.origins was created to drain such wastes of time away from those parts of the usenet with aspirations towards seriousness and gather the creationist cranks and loons in a single location to facilitate making fun of them. On the other hand, the effort of listening to and addressing the creationist arguments did lead to the wonderful resource on the subject contained in the Talk Origins Archive. Still, the Hoofnagle's are right that arguing with such people is a low-return investment (though a few creationists of the more rational sort were "converted" in talk.origins over the years). Recognizing denialism also means recognizing that you don't need to, and probably shouldn't argue with it. Denialists are not honest brokers in the debate (you'll hear me harp on this a lot). They aren't interested in truth, data, or informative discussion, they're interested in their world view being the only one, and they'll say anything to try to bring this about. We feel that once you've shown that what they say is deceptive, or prima-facie absurd, you don't have to spend a graduate career dissecting it and taking it apart. In the more accessible blogoshere, visited by people with less specialized interest in these sorts of topics, it is probably wise to avoid bogging down in the endless argumentation that talk.origins engages in and go straight to the exposure of the denialist sleight-of-hand. Since the 1980s, a powerful confluence of evangelical fundamentalist Christianity and right-wing politics has focused on challenging science education in the schools and via informal educational institutions like science museums. Adams bemoaned the fact that American government had done nothing to press the frontiers of astronomy, the cutting edge of science in the early modern period. While European powers supported 130 astronomical observatories, what he called "lighthouses in the sky," not one existed in America. Adams detailed the destruction of the ancient cosmology reflected in the Bible that placed the Earth at the center of the universe, and replaced it with an understanding that the Earth is one of several planets that revolve around the sun in elliptical orbits that can be charted mathematically and explained by natural forces. Thematically, Adams organized this sweeping narrative around the struggle between science and the religious establishment. For Adams, Galileo was not only one of the "master spirits" of the ages, but also a martyr. Using new technology, a telescope, Galileo peered deeper into the skies than anyone before him and, more importantly, reconciled conflicting data with a new paradigm. For championing this scientific, non-biblical view of the universe, Galileo was denounced, suppressed, silenced and imprisoned by the Pope and the Inquisition. [I]f we allow the combination of evangelical fundamentalism and right-wing politics to undermine science in the schools and museums, Americans will end up dependent on scientists from other societies. Not only will our flow of gadgets be threatened, but also things like the development of prescription drugs to protect us from the threat of a mutated H5N1 virus. Today, bird flu threatens millions of fowl, but it could threaten millions of humans, and the only way to understand that threat is within the context of evolutionary change on the molecular level. The destruction of science threatens all of us, both in mind and body. I noted a while back that there was yet another rather prominent medical doctor pushing Intelligent Design Creationism. 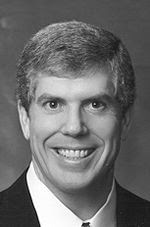 Joining Michael Egnor was John Marshall, professor of internal medicine and associate director of education at the Missouri University School of Medicine. Dr. Marshall has taken his rightful lumps as detailed at Red State Rabble, Afarensis and The Design Interference. Now Logan Gage, at the Discovery Institute's Ministry of Misinformation, Whine and Jeez Division, has tried the "whistling past the graveyard" ploy. Not even attempting to address the real basis for the reaction Marshall got from an academic audience, Gage simply declares that Marshall's view that Intelligent Design Creationism should be "part of the scientific discussion," instead of being viewed as a religious position, is "reasonable." Though he was mostly calling for civil dialogue and open discussion, Dr. Marshall said that "as a theory, I believe that intelligent design fits the evidence of biology better than Darwinian evolution." As his example shows, this is a tough claim to make in today's univeristy (sic) environment. Yup. About as tough as the claim that "as a theory, I believe that geocentrism fits the evidence of astronomy better than Copernican heliocentrism" would be to make in today's university environment ... and for precisely the same reason. [Missouri University] has a program entitled, "Difficult Dialogues", which is dedicated to promoting "Pluralism and Academic Freedom on Campus". Taken directly from their site, "The MU Difficult Dialogues program is designed to stimulate rigorous intellectual inquiry, and to empower students to express opposing views respectfully and in the spirit of open-mindedness." If ID is a "theory of origins," it is not a scientific one under the meaning of "science" as it has existed for at least the last 150 years. It can and should be considered in the appropriate classes, in religion or philosophy or history of science, where it can stimulate rigorous intellectual inquiry to the heart's content of anyone interested. It is, however, no more appropriate in biology classes than the rules of French grammar are in English writing classes. The ironic part is the IDer's implicit admission that there is no worthwhile intellectual inquiry to be had in their theology. Unless they can somehow muscle their way into science classes, their religion is too sterile to be worth thinking about. Thanks to Tantalus Prime for a number of the links. The illustration is one of the very interesting stone sculptures of Roger Hopkins. The 59th Meeting of the Skeptics' Circle is up and running at Pooflingers Anonymous ... if you believe everything you read. For more information about the Skeptics' Circle, you can try looking at Circular Reasoning, as long as you take anything you see there with a grain of salt. Next up to host one of these meetings, supposedly the 60th, if you want to accept their math, is a site rather incredibly called Infophila allegedly on May 10. And I Thought I Was Kidding! 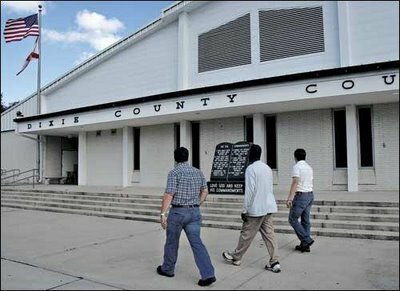 A while back I noted that the Dixie County, Florida Board of Commissioners had decided to drink the Righteous Right's Kool-Aid and fight an ACLU lawsuit demanding removal of a monument to the Ten Commandments that had been placed, by itself, at the top of steps attached to the county courthouse and directly under the "County" in a large sign on the building that reads "Dixie County Courthouse." I then noted that in order to have a more blatant endorsement of a particular religious tradition by a government, "it would have to involve flashing neon lights." The monument was vandalized several times and the Bible stolen. Star of Hope [the private organization] replaced it each time. In 1988, atheists complained about the Bible to the Harris County Commissioners Court and asked that it be removed. Although the evidence on this point is not entirely clear, it appears that Star of Hope decided either to remove the Bible or not to replace it again, rather than face potentially costly litigation. From 1988 to 1995, the top of the monument remained open and empty, and it was often used as a trash bin. … initiated a project to solicit private donations to refurbish the monument, to restore a Bible to the display case, and to add neon lighting to the display case. Judge Devine obtained approval from Harris County, and made improvements to the monument, including the new Bible and a red neon light outlining the Bible. It has long been known that, as Alan Morgan once said in talk.origins: "Any sufficiently advanced parody is indistinguishable from a genuine kook." It seems that it goes for the Religious Right as well. The rest of the sorry tale is interesting too. A lawyer and atheist sued and the Federal District Court found in her favor, ordering the removal of the Bible (though, presumably, the monument could stay) and awarding her over $40,000 in attorney's fees. An appeal was taken and upheld by the three judge panel in the decision linked to above. A further appeal to the full Circuit Court was granted. Just a few days before the scheduled oral arguments, the County removed the monument, supposedly as part of renovations that had been going on for some time. The County then argued the case was "moot" because the monument was no longer on the County's property and that the lower court decision should be vacated. The full court did find the case to be moot but would not vacate the lower court decision. While not accusing the County of any wrongdoing in removing the monument at the last minute, the full court gave little consideration to the notion that the plaintiff would have to start over from scratch when and if the County made up its mind what to do with the monument. If it is put back on County property, the plaintiff can move in the District Court to enforce its prior order and if that court decides that the circumstances of the new placement are substantially similar, the court will enforce that order. The plaintiff got her $40,000 too. But don't you just love how honest and above-board everything is when you are dealing with people who so loudly profess their belief in the Bible? Zachary Moore has now completed his articles about his attendance at the SMU version of the Discovery Institute's off-off-Broadway roadshow, Darwin vs. Design. With Jason Rosenhouse's detailed report on the Knoxville opener and the tale of six SMU students who went to protest, there is now a very good record of these outings showing just how short the IDeologists are on science and how long they are on slick. ... I think I understand more fully why the Intelligent Design advocates insist on using "Darwinism" when criticizing evolutionary theory. On the one hand, painting the theory as the singular creation of a lone person, while ignoring the continued discovery of confirmatory evidence and scientific development that has occurred since Darwin is an obvious rhetorical strategy. On the other hand, I think it's clear that Meyer and Behe aren't really opposed to evolution per se -- just the idea that evolutionary theory is completely naturalistic. ... What Meyer & Co. mean when they use the word, "Darwinism," is really a stand-in term for Materialism, which is incorrect, but at least makes their use of the term more understandable. As Zachary noted, the ID argument is a philosophical, not a scientific one. They want to open up the methodological naturalism of science, not because that would, in any way, improve the workings of science but simply because they want to claim the mantle for their religious views. This is confirmed by the Discovery Institute's reaction to the recent statements about Pope Benedict's position on evolution. Calling science the only "public knowledge," Jay Richards goes on to complain that presently "Darwinism works as ‘science’ (narrowly defined) but theological types [only] get to talk about God as long as they call it philosophy and promise not to make trouble for the Darwinists." In short, they want to make their sectarian religious beliefs "official" knowledge for all public policy purposes. They want to do away with science, as we presently understand it, and return to the age of "Natural Philosophy" where there is no difference between science and philosophy and, more importantly to them, no significant difference between "Natural Philosophy" and "Natural Theology." Some commentors over at Shelley Batts blog have asked whether there is -- or should be -- a jump-on-the-bandwagon, mob mentality of going after John Wiley & Sons for its heavy-handed treatment of Shelley's use of a single figure from a scientific article in one of its publications. What I think has brought out the pitchforks and torches is the manner in which Wiley & Sons handled it. 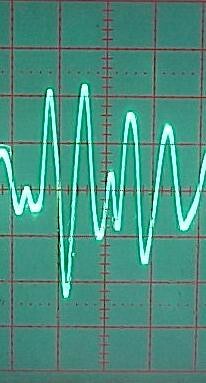 Wiley had an easy and utterly inexpensive way to monitor the situation. Shelley wasn't surreptitiously printing up something in her basement for sale on the black market. What she was doing was right out there in the open, a couple of clicks on a computer away. Furthermore, it cost Wiley nothing but a few electrons to address the matter in email. Nor was there any danger that the great public stampede to buy this journal was going to be stemmed by the copying of one small part of it in a blog post that probably doubled the world's awareness of this rag the moment it went up. There was no need to start off with threats about lawyers. This sort of corporate/bureaucratic mentality of squashing anyone or anything in their way deserves a little prod and singe. They are trying to sell a product to us and we are well within our rights as consumers to tell them we don't like it. And we have a duty, if we want to live in a society free of this sort of bullying, to let them know we don't like it in no uncertain terms. Although there was a more than a little mealy-mouth in the attempt to blame this incident on "a junior member of staff," I think that is about as good an admission of error as could be expected from the corporate types. It should also be a lesson learned for them ... at least for a while. Update: Shelley has received an apology (of sorts) and permission to use the material. Power to the blogers! Shelley Batts of Retrospectacle was sent a threatening email by one Lisa Richards, an "Editorial Assistant" of that world-renowned publication, the Journal of the Science of Food and Agriculture (All together now! Whaa?). It seems that Shelley wrote a brief article that used an image from a graph taken from a study published in that journal. As I understand it, Shelley's article was not even critical of the study but she was, in fact, really writing about the reaction in the popular press that "Alcohol 'makes fruit healthier'." It is clear that, even if by some stretch of the law, Shelley's use was not protected under "fair use," it was an utterly minor violation without any financial damages to the publisher. In fact, it would have only served to bring this obscure journal to the attention of a wider audience. But hey! Guess what! 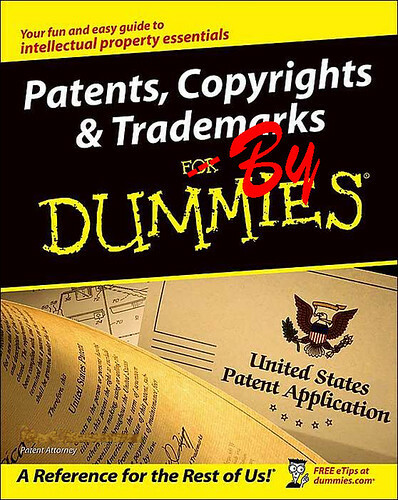 There is one of those "For Dummies" books about copyrights: Patents, Copyrights & Trademarks For Dummies. And guess who it is published by: Wiley Publishing, Inc., which is an American subsidiary of John Wiley & Sons, Ltd. who ... you got it ... are the publishers of the Journal of the Science of Food and Agriculture. P.S. And Lisa, just in case you get any bright ideas ... I'm a lawyer and I know my right to publish parody. P.P.P.S. John Hawks is in general agreement but has some quibbles based on the fact that the ScienceBlogs have advertisements and, therefore, may have less leeway than noncommercial sites. While it is true that, in a close case, a court might be more disposed towards a use that wasn't generating income in any way connected to the disputed material, the rules are basically the same in terms of fair use for commercial and noncommercial use. Also, the lack of income on the disputed material affects the damages that the plaintiff could collect. But that is pretty much it. I think that the commercial aspect is less of a distinction than Professor Hawks believes. According to Teleology, each organism is like a rifle bullet fired straight at a mark; according to Darwin, organisms are like grapeshot of which one hits something and the rest fall wide. This is the whole of the argument over Intelligent Design Creationism in a single sentence. It comes from a collection of Huxley's essays entitled Criticisms on "The Origin of Species" (1864). Teleology implies that the organs of every organism are perfect and cannot be improved; the Darwinian theory simply affirms that they work well enough to enable the organism to hold its own against such competitors as it has met with, but admits the possibility of indefinite improvement. But an example may bring into clearer light the profound opposition between the ordinary teleological, and the Darwinian, conception. Cats catch mice, small birds and the like, very well. Teleology tells us that they do so because they were expressly constructed for so doing -- that they are perfect mousing apparatuses, so perfect and so delicately adjusted that no one of their organs could be altered, without the change involving the alteration of all the rest. Darwinism affirms on the contrary, that there was no express construction concerned in the matter; but that among the multitudinous variations of the Feline stock, many of which died out from want of power to resist opposing influences, some, the cats, were better fitted to catch mice than others, whence they throve and persisted, in proportion to the advantage over their fellows thus offered to them. Far from imagining that cats exist in order to catch mice well, Darwinism supposes that cats exist because they catch mice well -- mousing being not the end, but the condition, of their existence. And if the cat type has long persisted as we know it, the interpretation of the fact upon Darwinian principles would be, not that the cats have remained invariable, but that such varieties as have incessantly occurred have been, on the whole, less fitted to get on in the world than the existing stock. Note the example of Huxley using the term "Darwinism." Instead of all the meanings that creationists would pour into the term -- materialism, atheism, rebellion from God -- to Huxley it means nothing more than the observation that cats are what they are because there is a living to be made by catching mice. If we apprehend the spirit of the "Origin of Species" rightly, then, nothing can be more entirely and absolutely opposed to Teleology, as it is commonly understood, than the Darwinian Theory. So far from being a "Teleologist in the fullest sense of the word," we should deny that he is a Teleologist in the ordinary sense at all; and we should say that, apart from his merits as a naturalist, he has rendered a most remarkable service to philosophical thought by enabling the student of Nature to recognise, to their fullest extent, those adaptations to purpose which are so striking in the organic world, and which Teleology has done good service in keeping before our minds, without being false to the fundamental principles of a scientific conception of the universe. The apparently diverging teachings of the Teleologist and of the Morphologist are reconciled by the Darwinian hypothesis. In speaking of reconciliation, Huxley is, I think, harking back to Kant's position that teleology is a heuristic -- a way of organizing our thoughts about organisms usefully -- but one which, if rashly turned into an attribution of divine purpose, will merely serve to stifle knowledge. Thinking about cats as perfect mouse catchers may help us to see the attributes that make them as good at what they do as they are, and serves the purpose of any "just so" story, in suggesting ways to further study those adaptations and similar ones in other species. We only err when we mistake the "just so" for evidence or, worse, for reality itself. The illustration above is a caricature by Huxley of The Pope of Science blessing a German supplicant naturalist of the "Church Scientific," from a letter to Darwin in 1868. Nope. Well past the 1st. You may have noticed that March of this year was particularly hot. As a matter of fact, I understand that it was the hottest March since the beginning of the last century. All of the trees were fully leafed out and legions of bugs and snakes were crawling around during a time in Arkansas when, on a normal year, we might see a snowflake or two. This should come as no surprise to any reasonable person. As you know, Daylight Saving Time started almost a month early this year. You would think that members of Congress would have considered the warming effect that an extra hour of daylight would have on our climate. Or did they? Perhaps this is another plot by a liberal Congress to make us believe that global warming is a real threat. Perhaps next time there should be serious studies performed before Congress passes laws with such far-reaching effects. Via the Angry Astronomer, who has, in this case, more than just cause. He gives the explanation of why Ms. Meskimen is spectacularly wrong ... just in case ... so you shouldn't make him the Livid Astronomer. Marshall began to look into what he said were holes in the theory. And after becoming a Christian, Marshall found it hard to reconcile evolutionary theory with Genesis, the biblical account of how God created the earth and everything on it in six days. Marshall has since become a proponent of the view that there are some natural systems that cannot be adequately explained by natural forces, and therefore must be the result of intelligent design, or ID. A scientist should be open to new evidence and to new ideas, even when they arise outside the box of naturalism. There’s no reason we can’t at least look for evidence. But one of the tactics of people who control mainstream science is, you don’t publish intelligent design material. Marshall said his lecture, "Intelligent Design: Is it Religion or Science?," will question the origin of the first living cell and raise what he called problems with the fossil record, which scientists have used to understand how species evolved. Gaps in scientific evidence are not evidence against evolution. Except in limited circumstances where a well-designed experiment must render a certain result or the hypothesis under study is itself brought into question, "the absence of evidence is not evidence of absence." Furthermore, the absence of evidence for evolution can never itself be evidence for design. While his conversion to Christianity explains his skepticism of evolution, Marshall said that belief in intelligent design does not necessarily require adherence to a religious doctrine. And, despite the setbacks in court and the skepticism of an overwhelming majority of scientists, the intelligent design debate isn’t going away anytime soon, Marshall said. Many states are considering legislation that would require schools to teach that Darwinian evolution is just one of the theories on the origins of the earth, he said. "In the end, we have to ask: Has Judge Jones really given us the final answer on whether ID is science?" Marshall said. "I think it is safe to say that his ruling won’t be the last word on the ID." You see, I know why the court case was brought to prevent a governmental body from promoting what many people saw as a sectarian religious program but I don't have any clue why people would think that a science, if that is what ID is, would need legislation to require schools to teach it. If and when they build the scientific case, then the schools will come and teach it. Andrew Arensburger at Ooblog has detailed an email exchange with Dr. Michael Egnor that puts the final nail (if one was needed) in any pretense Egnor might still have had to serious thinking on the subject of evolution. Egnor claimed that he "asked Darwinists to define biological information, because Darwin’s theory hinges on it" and claimed to be "appalled" that "Darwinists" don’t even know "how to measure the property on which their entire theory turns." While he waves in the direction of "Dembski’s CSI" as a measure of information, Egnor admits that "[n]o one knows how to measure biological information in a meaningful way." So what is all his brouhaha about then? According to Egnor, "we know biological information when we see it." When Andrew pointed out the scientists don't think that "information" is a useful concept when discussing life, Egnor replied that he has "no patience for sophistry." So, let's see. "I know information when I see it and if you don’t see what I see, you’re a sophist!" I wonder if Egnor knows the meaning of the word? This is all wonderfully ironic given Egnor's latest babble about how ID is all about the science! P.S. For the morbidly curious, if you go back to the nethermost regions of this blog, you may just catch a glimpse of Andrew. P.P.S. Mike Dunford at the Questionable Authority, who was the target of Egnor's post about Intelligent Design Creationists' supposed greater concern for science than "Darwinists" have, has responded with all the seriousness that blather deserves. P.P.P.S. Jason Rosenhouse at Evolutionblog has weighed in on Egnor's misdirection here: "Creationists Don't Know What They are Talking About. Literally!" P.P.P.P.S. Tyler DiPietro at Greedy, Greedy Algorithms has a post about Egnor's motorized uprights, "Moving Goalpost Syndrome at It's Worst." P. (n) S. Ed Brayton has also noted the evasion in his post "Egnor and Biological Information, Take 2" at both Dispatches From the Culture Wars and at Talk To Action. P. (n + 1) S. Mark Hoofnagle at Denialist.com has made Egnor the subject of "Denialist busting of the day." Okay, Andrew ... my work is done. I got you a mention in Pharyngula: "George Gilder, Lord of the Adguacyth." Dutch feminist author Ayaan Hirsi Ali, a Somali refugee, made an appearance recently at the University of Pittsburgh at Johnstown. Islamic leaders tried to block the lecture, which was sponsored through an endowment from the Frank J. and Sylvia T. Pasquerilla Lecture Series. They argued that Hirsi Ali's attacks against the Muslim faith in her book, "Infidel," and movie, "Submission," are "poisonous and unjustified" and create dissension in their community. Hirsi Ali, an atheist, has been critical of many Muslim beliefs, particularly on subjects of sexual morality, the treatment of women and female genital mutilation. In her essay "The Caged Virgin," she also wrote of punishment, noting that "a Muslim's relationship with God is one of fear." "Our God demands total submission. He rewards you if you follow His rules meticulously. He punishes you cruelly if you break His rules, both on earth, with illness and natural disasters, and in the hereafter, with hellfire," she wrote. Imam Fouad ElBayly, president of the Johnstown Islamic Center, was among those who objected to Hirsi Ali's appearance. "If it is found that a person is mentally unstable, or a child or disabled, there should be no punishment," he said. "It's a very merciful religion if you try to understand it." Calling a willingness to kill people for no greater crime than having moved on beyond their old beliefs "mercy" is doublespeak of the first order. Dr. Michael Egnor has seen the error of his ways. Eugenics is human breeding, and is every bit as much of a misapplication of Darwin’s theory as are Dr. Cartwright’s examples of bacterial breeding. This admission is only for the moment (consistency may be the hobgoblin of small minds but it is virtually unknown to the smaller minds of creationists) and, as can be seen from the above, it is only in furtherance another of Egnor's blatherings (as to the unimportance of evolutionary theory to medicine), but it's at least some small indication that Egnor hasn't lost all intellectual integrity. As I point out in Darwin’s Conservatives: The Misguided Quest, Darwin believed that human progress was ultimately based on the struggle for survival, and he further maintained that civilized societies were courting disaster by continually counteracting the law of natural selection through vaccinations, welfare programs, and the like. Eugenics was framed explicitly as an effort to remedy these violations of Darwinian natural selection. ... West has to selectively quote Darwin. He quotes Darwin's remark about how allowing the weak members of society to breed must be "highly injurious to the race of man." Yet he does not quote the immediately following passage where Darwin says that supporting the helpless expresses sympathy, which is "the noblest part of our nature." I would go farther than Arnhart, however. To Darwin, it was natural selection that likely inculcated that sympathy in us. Coupled with cautions against thinking that we know how to do better than nature and his determination not to make the mistake of confusing "what is" with "what ought to be," Darwin's formulation of natural selection becomes a potent argument against eugenics. ... With savages, the weak in body or mind are soon eliminated; and those that survive commonly exhibit a vigorous state of health. We civilised men, on the other hand, do our utmost to check the process of elimination; we build asylums for the imbecile, the maimed, and the sick; we institute poor-laws; and our medical men exert their utmost skill to save the life of every one to the last moment. There is reason to believe that vaccination has preserved thousands, who from a weak constitution would formerly have succumbed to small-pox. Thus the weak members of civilised societies propagate their kind. No one who has attended to the breeding of domestic animals will doubt that this must be highly injurious to the race of man. It is surprising how soon a want of care, or care wrongly directed, leads to the degeneration of a domestic race; but excepting in the case of man himself, hardly any one is so ignorant as to allow his worst animals to breed. Darwin was smarter than to draw an "ought" from nature. He, unlike West, was capable of seeing the world as a complex place where not everything can ... or should ... be taken as conveying a moral lesson. Nor would Darwin bend the facts of the world to pretend such lessons were writ large upon nature, instead of whispered in the one small corner of it that is our species. Most of all, Darwin stood for the proposition that the love of knowledge is a truer, more noble, more moral virtue than any ignorance maintained in service of a dogma. Reed A. Cartwright, whose original criticism of Egnor and follow-up started this round of creationist foot-in-mouth disease, has responded at De Rerum Natura, in a post entitled "Barking at the Moon over Darwin's Theory," that also includes William "Sound Effects" Dembski's similar recent comments. Reed points out that Egnor and Dembski still haven't gotten it right scientifically. Artificial selection is not the same as Intelligent Design nor is it a complete break with natural selection. Artificial selection does fit within the parameters Darwin originally set out for selection. It was no accident that Darwin started his argument in Origin of Species with pigeon breeding. A farmer selecting individual cows and ears of corn to survive and reproduce and eliminating the rest is no less selection than the lion choosing the slowest zebra to chase. Also back for a follow-up is Håkan Rosén in Eugenics revisited at The DesignInference. If "creationists" come to mind, you're close! There is reportedly a "burgeoning underground of 'dissident' scientists and self-described experts [who] publish their theories in newsletters and blogs on the Net, exchanging ideas in a great battle against (… wait for it …) 'the temple of relativity'." That's right … forget Darwin! … the real scientific charlatan was Albert Einstein! … there has just begun a new series of conferences, held by anti-relativity cranks, called 'Crisis in Cosmology'. A "crisis" in a widely accepted scientific theory generally considered the backbone of its field? Where have I heard that before? Don't tell me … it'll come to me … any second now. I think the first one was held in Spain and they're planning another. It looks exactly like a legitimate scientific conference, with the difference that everyone delivering a talk there is insane. Are you sure there wasn't just one in Dallas? … some place called SMU, I think. P.S. The article, "Was Einstein a fake?" by John Farrell, from Cosmos magazine, is really very interesting and even the comments are … um … instructive. It also has a quote from frequent talk.origins participant, Steve Carlip. Not all versions of the theory of evolution are compatible with a belief in God the Creator. Of course, that necessarily implies that not all versions of the theory of evolution are incompatible with a belief in God the Creator. Supposedly addressing the "ideological aspects of Darwinism," the good Cardinal engages in a bit of guilt by association by noting that "Marx and Engels recognized Darwinism as the scientific basis for materialism." It could equally be noted that not a few people have recognized religion as the basis for Crusades, Inquisitions and Jihads. Prior to Darwin, he noted, many scientists-- including Copernicus, Galileo, and Newton recognized signs of the Creator in nature. Many have seen such signs since Darwin and still do to this day, including not a few of the clergy of the Church who are also scientists. They just realize that those signs aren't part of science. They are part of theology and faith ... something you'd think the Cardinal might just have heard of before. And, finally, I might add that not all statements by religious figures are compatible with clarity or good sense. You may well be asking who the heck is Jack Heckathorn to be telling Pope Benedict what Catholic theology should be. What I am, is a Christian guy, off of the street, who has observed the churches and their activities over the years, because of my particular interest in God. And let me say it shows. Evolution is a belief, which is not provable, it is not science, and it is not even rational. Spontaneous generation would have to be a proven fact in order for evolution to even have a starting point. It seems to have passed him by that, no matter what, in order for any of us to be here talking about anything, life had to have a starting point. Evolution is about what came after that start. Quote mining George Wald doesn't help his case much either. Evolution is Satan's ace trump in causing people to turn away from God. That is it's only purpose. Actually, it functions quite well as an idiot detector too. And, Jack, the buzzer just went off ... real loud. P.S. In case you're thinking that any publicity is good publicity ... I spelled his name wrong. … But perhaps not the way the Discovery Institute might have wanted. Francis Goldshmid: Junior, Biology B.S., Chemistry B.A. Jani Brackett: Junior, Biology B.S., German B.A. Desiree Brooks: Sophomore, Biology B.S., Chemistry B.A. Design theory promises to reverse the stifling dominance of the materialistic worldview, and to replace it with a science consonant with Christian and theistic convictions. … [S]omehow, one of our flyers made it to the front of the stage, where the journalist [Lee Strobel] asked the other men on stage about the quote regarding the institute's true purpose … being that it wants to replace modern science with "a science consonant with Christian and theistic convictions." To my shock, one of the men on stage said, "Yes that's true, and I don't see anything scandalous about that." Nothing scandalous about trying to replace science with Christianity? Nothing scandalous about the fact that religion keeps being brought up during what is supposed to be a scientific conference? Clearly, the institute's dictionary must define the word "scandalous" differently from the dictionaries we own, because it sure appears to be pretty scandalous. Those of us that have been at this for a while have long known that the Disco Boyz are indifferent to the scandalous … or to embarrassment, for that matter. In a well that never seems to run dry, Dr. Michael Egnor is once again making a fool of himself. Wikipedia is an encyclopedia collaboratively written by many of its readers. It is a special type of website, called a wiki, that makes collaboration easy. Many people are constantly improving Wikipedia, making thousands of changes an hour, all of which are recorded on article histories and recent changes. Inappropriate changes are usually removed quickly, and repeat offenders can be blocked from editing. Egnor also seems to be unaware that the point of Soviet revisionism was to pretend that no changes had been made. The change in the Wikipedia article was immediately mentioned by the "Darwinists" back at the time of Egnor's original post. It was commented on at Orac's blog, Respectful Insolence and at Mark Chu-Carroll's blog, Good Math, Bad Math. The commenters could do that because Wikipedia, unlike the Soviet government, openly keeps a record of exactly what is being changed and by whom. Nor does it seem to occur to him that, if his argument relies so heavily on the wording of a single sentence in an online encyclopedia collectively tinkered together by people of unknown expertise, maybe his argument is already in serious difficulty. But the really incredible part is that, while Egnor is invoking the Soviet Union and its Doublethink, he is also pointing to the revision trail and the user name of the person making the changes. You'd think he'd kinda catch on that his pointing out the revision trail guts his analogy right out of the gate, wouldn't you? But Egnor has never let reality stop him yet! Strangely, Egnor complains that this same person modified articles on President Bush in ways that that make them more critical of the President. You'd almost think that Egnor thinks ID is … why … political or somethin'. If Egnor wants to challenge that reviser's objectivity through Wikipedia's revision protocols to attempt to get him blocked from editing, he is perfectly free to. I doubt Egnor will, however. He would have way too much trouble proving his own objectivity. Update: Eamon Knight has traced the history of the article that led up to the inclusion of the phrase in the definition that Egnor seems to think somehow constituted "evidence" in favor of design. It turns out that it was the result of the actions of a single anonymous reviser, whose qualifications are, of course, unknown. On such ephemera does the whole of Intelligent Design Creationism rest. And while I'm at it, and since Eamon noted that plumbing the depths of Egnor's bilge usually leaves something more to point to and laugh at, so deep and ... um ... rich is his illogic, let's not forget the irony of Egnor, with blithe unselfconsciousness, complaining about "Darwinists" engaging in "sneering, name-calling, and obfuscation" while, at the same time, comparing those selfsame "Darwinists" to agents of Soviet-style dictatorship. If the term "mind-numbing" didn't already exist, it would have had to have been invented just to describe Egnor's blather. Ozzy Osbourne and Michael Egnor - what is the connection? In fact, Håkan Rosén's blog, The DesignInference, looks so good that I'm adding it to my roll. The crazed person who took his gun or guns onto the campus of Virginia Tech today was not part of a "well regulated militia." Nor can I believe he was interested in the security of a free state. No one has any problem with the idea that arms like Stinger ground-to-air missles can be regulated or that the government can strictly control the supply of fissionable materials to keep it out of the hands of the thousands of people in this country alone who could tinker together a crude atomic bomb. There is no legally coherent reason that the government cannot regulate other weapons of war, such as assault rifles and other high-powered, rapid-fire small arms. Today, there are another 32 reasons why we should sharply regulate these weapons ... now! There is an interesting report by Zachary Moore, a Postdoctoral Fellow at the University of Texas, who attended the first session of the Discovery Institute's dog and pony show at SMU. ... I was waiting in the auditorium lobby for the conference to start, I struck up a conversation with Todd Norquist, one of the Discovery Institute's employees in the Center for Science and Culture (the department that advocates for Intelligent Design). I asked him how many of these conferences were planned by the Discovery Institute, and he seemed hesitant, telling me that he didn't know if any more of them were going to be possible, since the costs were too high for the Institute to handle. He mentioned something about it costing $70,000, although I don't recall if that was the amount to produce the Dallas event alone, or if that was the current cost for the whole series thus far (the only previous event being in Knoxville). He complained that there had been virtually no money allocated for advertising, the sole contribution being $1000 paid to Scott Wilder for an "interview" of Stephen Meyer a week previously. 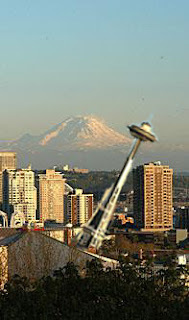 He then told me (quite openly, also, which I thought was odd) that the financial situation of the Discovery Institute was grim, and that they were "bleeding money" and were "barely able to keep the lights on in Seattle." I think it was at about this point that he may have realized that he probably shouldn't be advertising this, and so he abruptly asked me if I was a Christian. I shook my head no, and said, "not anymore, but I used to be." He nodded silently, and then quickly found somewhere else to be. Who needs light when you can issue press releases cursing the darkness? It appears that Dixie County, Florida is the next sacrificial lamb in the Righteous Right's campaign against the Establishment Clause. Liberty Counsel, which describes itself as a nonprofit litigation, education and policy organization but also as a "ministry," has taken over the defense of the county in a federal lawsuit filed by the ACLU, after the county permitted a local company to erect a Ten Commandments monument. While the press release from Liberty Counsel describes the monument as "near the county courthouse," as can be seen from the above picture, it is located at the top of steps attached to the courthouse and directly under the "County" in a large sign that appears to read "Dixie County Courthouse." If there could be a more blatant endorsement of a particular religious tradition by a government, it would have to involve flashing neon lights. It may seem crazy to take this kind of case to court in that, under existing precedents, a lone display of a single religious icon, in a space intimately associated with a government building without any other symbols to give it a context as just one source of law out of many, is a slam dunk case for the ACLU. Worse, it is unlikely that any insurance carrier the county might have would consent to Liberty Counsel representing its interests, so that probably means that the county is uninsured or, as was the case in the Dover Intelligent Design case, the county commissioners are violating the standard policy provisions, allowing the insurer to disclaim. But it makes perfect sense to an outfit like Liberty Counsel. There is always the possibility that, with the recent changes on the Supreme Court, there will be a major reinterpretation of the Establishment clause and Liberty comes out of it as great heroes to the theocracy-friendly set. If not, the case can be used to further stimulate a perception among the faithful that they are under some sort of siege from the forces of atheism (defined to include anything and everything that does not profess their peculiar creed), and Liberty has another "scary" story to tell when haranguing the faithful for donations. One thing you can be sure of ... if things go badly, Liberty Counsel will disappear as fast as the Thomas More Law Center did when it came time to pay the piper. Would you trust your Constitution to that man? Via Get Busy Livin', or Get Busy Bloggin'. Our friend, the scarecrow surgeon of the Discovery Institute, Dr. Michael Egnor, is at it again. He took a roasting from Dr. Steven Novella, a neurologist on the faculty at Yale University School of Medicine, who has expertise in evolutionary theory and is not just a highly skilled meat cutter, like some doctors. Egnor then proceeded to try to put out his smoldering nether regions by dousing them in a generous portion of gasoline. It seems that Egnor's ignorance extends to simple matters of how things reproduce. [B]rain tumors ought to be generating quite a bit of "meaningful and even useful new information." Better neuroanatomy and better neurophysiology ought to be popping up "easily." 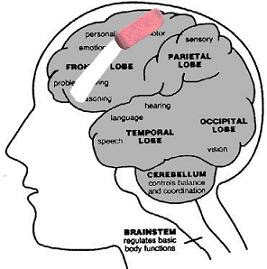 Better frontal lobes and cognition, from cancer. Better temporal lobes and memory, from cancer. Better cerebellums and coordination, from cancer. If random mutations and natural selection -- Dr. Novella’s "two stroke engine"—is the source of all functional integrated biological complexity, brain tumors ought to help our brains evolve in some way. It also appears that Egnor took offense at Dr. Novella's use of the term "rube," saying "I'm just a rube, not a Darwinist from Yale." Frankly, based on this performance, Egnor is going to have to work his way up to the exalted title of "rube." The March of Egnorance: Which is it? Please, everyone, move in a calm and orderly manner to your nearest designated shelters! The Department of Homeland Insecurity has just announced that, in an apparent terrorist plot, an attempt has been made to cause irony meters across America to explode violently. In a nefarious scheme, an unknown group has simulated a posting at the Discovery Institute's blog, Evolution News & Views, that will cause even the most sophisticated irony meters on the market today to fail catastrophically. This fake statement actually has the Discovery Institute contending that it does not preach "a religious message masked in a capsule of pseudoscience," despite its recent wrangle with the Pope over the correct theological position to take on science and its attempt to tell God how to run the universe. Pure and undefiled science according [to] SMU is to ridicule minority viewpoints and show disrespect to your opponents. The irony of any group complaining about being treated with "disrespect" that itself consistently calls anyone and everyone who supports modern evolutionary theory "Darwinists" and, in turn, alleges that "Darwinism" supports eugenics, Nazism and every other evil they can think of, is so massive that it threatens to collapse into a black hole of irony, destroying the entire Earth!